After dropping back to back classics with Mos Def and Hi-Tek respectively, Talib's solo career didn't seem to have the same spark. Quality had some really solid tracks but lacked replay value and impact (I'm so glad the neo-soul rap era is dead), and we won't speak on Beautiful Struggle. Going back to the basics, Talib recruits some serious heat from hip-hop's finest, including Just Blaze, Kanye West, Pete Rock, underground genius Madlib, and his old partner Hi-Tek. The result was one of those rare occasions where an album actually sounds as good as it looks "on paper." 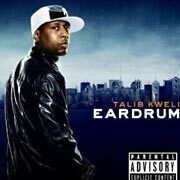 Lyrically, Talib is on another level with Eardrum. Very few emcees sound inspired after their first few years in the game, but Talib's performance on this album rivals anything he's done since the Black Star album. Straight spit ("NY Weather Report," "Say Something"), concept songs executed to perfection ("Eat to Live," "Give Em Hell"), and unexpected collaborations ("Country Cousins," "Soon the New Day") all come off well, and blend together perfectly. Much like his last album's title track, the Reflection Eternal song on this album ("More or Less") is evidence that a reunion album is still in demand. Speaking of reunions, Mos Def take notes. Forget about all that sweet Hollywood money and make a Black Star album for us to download, nit-pick, and not even buy. Where are your priorities my nig? Standouts: "Listen," "Hostile Gospel," "Eat to Live"
Virtually every double album would be better as a single disc, but very few have so many good songs that fans would all disagree on the songs to include in a single disc version. Bun B and Pimp C show "old school rappers" how to make a relevant album in today's climate, staying true to their original sound while keeping up with the times. Underground Kingz kicks off with "Swishas and Dosha," a song of the year candidate, and goes right into an Outkast collaboration that can make the same claim. Disc 2 starts off just as strong, with solid music throughout. On the surface, the album seems to be about cars, hoes, and other go-to rap topics, but the two veterans slip in a lot of content between the catchy hooks and lush production, without abandoning the album's sound or their core fanbase. It's Southern hip-hop, straight from the mid-90's. Accordingly, "Living the Life" features an interpolation of the classic Goodie Mob Soul Food intro, one of the many eerie moments in light of Pimp C's recent death. After dropping relatively disappointing "solo" efforts, Bun B and Pimp C are perfect examples of how a group's whole can be greater than the sum of its parts. These two made beautiful music together, and this album won't be soon forgotten. R.I.P. Chad Butler. Standouts: "Swishas and Dosha," "International Players," "How Long Can It Last"
Many of his fans would consider his Rhymesayers debut, Shadows on the Sun, album of the year for 2003; his follow-up Champion EP showed growth from him and producer Ant (of Atmosphere). Divorce and other personal matters kept Ali from recording sooner, but he returned in true form this year with another example of how emceeing, song writing, and album construction should sound. On The Undisputed Truth, he touches on a variety of subjects from his life, his fans, the war in Iraq, his son, divorce, race, and hip-hop. "Uncle Sam Goddamn" and "Letter from the Government" show a more politically aware side of Ali, while "Here" and "Walking Away" are the type of introspective songs reminiscent of Shadows. One moment that embodies Ali most is "Daylight," a track where he clears up some misconceptions about his race, and draws a distinction between belonging to a religion and accepting criticism from its leaders. "Faheem," a touching dedication to his son, explains why his child may be better off with his parents apart, and also finds Ali contemplating whether his rap career is really for his son or himself. The production on this album draws a serious contrast to his debut. Ant's music in itself ("Star Quality," "Picket Fence," "A Room with a View," etc.) 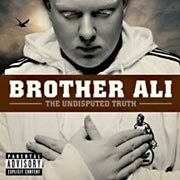 was destined to be classic before Ali even spit, but The Undisputed Truth's production seems to be tailor-made to fit Ali's song-writing. The result is a more cohesive-sounding album, but the music is a lot less varied. Fortunately Ali and Ant still have a good chemistry, and the sacrificed worked. They're now 3 for 3. Standouts: "Faheem," "Uncle Sam Goddamn," "Daylight"
If you've been following the Detroit underground scene, you may have first heard of Black Milk from his work with BR Gunna, a two-man production team with a Dilla-esque sound. Since parting ways with Young RJ, Black's quickly become a premiere beat maker in indie hip-hop. Popular Demand is a more refined approach to the same sound he's been perfecting from his various collaborations and 2006 EP. 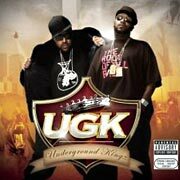 It's also another shining example of how strong a hip-hop album can sound with one main producer at the wheel. None of these songs are classic alone, but the album's cohesion and synergy make it difficult to not play for weeks at a time. From start to finish, the disgusting samples and drums on Popular Demand are almost mocking other producers this year, a defiant reminder that not only does boom bap hip-hop not sound dated in 2007, but it still sounds better than everything that's supposedly "updated." Oh yeah, Black Milk also raps. Is his voice and flow very natural? YUP! Are Jay-Z inflections and adlibs really necessary? NOPE! 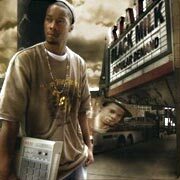 Fortunately he makes his own beats, so we never have to hear Black Milk talk to himself at the beginning of the songs. Black does a good job of keeping up with all of the albums' guests, a good sign that a producer/emcee holds down both fronts. Despite his subject matter consisting primarily of women, beats, cars, and women, he still struggles to fight the "backpacker" label. As he becomes more popular, hopefully he can find a better persona to embody than Kanye's, because the disco drama queen route will not go over well with beats this goddamn hard. Standouts: "Popular Demand," "Sound the Alarm," "Play the Keys"
The best new rapper from '06 returns with his sophomore release, The Cool. Part concept album, part experiment, part pop, and all weird, the album's reaction has been what you might expect from a project this eclectic: too out there for some, perfect for others. Album ambitions aside, Lupe is clearly one of the best song-writers hip-hop's seen in years. None of these songs sound like "three verses and a hook," and none of them sound like every other song you've heard before. There's a conscious effort to execute an ongoing theme for each track, and for the most part, they're all well-crafted. There's your standard personification of fast food presenting a health risk in the inner-city, an insane story about a war general surrounded by his former troops who've come to kill him for retiring, hip-hop saving a young man's life, child soldiers in Africa thuggin in public, and of course the total mockery of people asking Lupe to dumb himself down. Lupe's genius (or just extreme ADD) result in a collection of masterpieces that sound great in themselves, even when they don't necessarily feel like they're from the same album. His characters The Cool, The Game, and The Streets, which first appeared on Food & Liquor and his FNF mixtapes, all get explored further with this project, but the songs stand alone even without the double meanings. 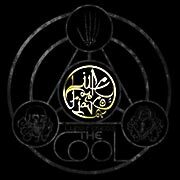 Lupe succeeds where other elite lyricists fail, in making the listener feel part of the experience, even while delivering complex metaphors or thought-provoking messages. This is the most interesting album of the year, for better or worse. Standouts: "Paris, Toyko," "Streets On Fire", "Dumb It Down"
If you'd like to be notified when SC 3 debuts, join our Mailing List. © 1999-2008 SoundCircuit.com. All Rights Reserved.